That always confused me about two stroke timing as well. It seems a lot of them use a distance measurement rather than degrees. I never did figure out why. Matt I chose this category because we didn’t have a Drag bike category on DTT. Will all pictures posted on DTT through tapatalk stay on DTT’s servers? They should, yes. Tim will be able to give a definite answer, but I'm 99% certain. And yet a Hitachi has a flat "curve" that retards slightly because of the delay ie the time it takes for the electrons to get to their destination. They travel at the same speed, but as motor speed increases, they have less time to get there, so they arrive later and later. That video is neat but doesn't show us what happens above the speed of that drill which is probably around 1200 rpm. What happens at say 6,000 or 10,000? Yamaha published papers back in the sixties about the elements that change the timing curve in an old style analogue ignition with high and low speed coils. Close to tdc, the mm difference is also small but the larger the degrees, the larger is the difference in mm so it is much easier to set accurately in mm than it is in degrees - as long as you use a TDI (dial gauge) and not a plunger rod. Unlike a 4 stroke at "normal' revs that needs more advance as revs rise because there is less time to burn, a high performance 2 stroke has rising cylinder pressure and temperature and needs progressively less advance as revs rise. Try 32 or 30:1 or even down to 25:1 for better cylinder cooling and more power. Jennings liked 16:1 and would have been even lower numerically if he could. It would be nice to see how those tests come out with modern oils. A single cylinder 'taco has a long stroke and large piston and huge combustion chamber surface area to absorb heat and cause issues - but you will only run for about 30 seconds all up, so let's start pushing the technology. You could also machine a billet head and play with different combustion chamber shapes. See BB for details. Does that look like yours? The head is a more modern design too. Well we have a starting place. Those are a little better than our 180cc CB175 sloper but not by much. I suspect the 'taco makes a lot more torque though. What is your target? For a drag motor maybe 40 to 44. Here is a race where Zeke beat me. I was on Lucky our Cb200 (left) going up against Zeke on the Bultaco (right) at the drag strip. the cb200 in its state of tune at 18 whp was very much a contender for the Taco. I am 217 lbs and Zeke was 150 ish You would think the Bultaco even as a dirt bike would have whooped Lucky. Lucky was 5/6 against the taco on the grass sprints and on the strip. Zeke was handicapped with the faulty shifter. I was short shifting... Zeke doesn’t know how to do that...shhhh. Oh Coker says we are good to 100-110 mph on the tires. the Bultaco Bandido made 42 bhp so that is maybe 35 whp? And at 7500 rpms the piston speed was only 3175 ft./min. Cycle World has the Bandido at 8.23 seconds in the 1/8th mile at around 80 mph. So I would think 40-44 whp would be a good goal. The only differences I can find between the Bandido and the Montadero is the expansion chamber, ignition timing, and the weight of the flywheel. Everything else seems to be the same. “ I am beginning to believe the engine is ancillary to the Pipe” ~from the Man Down Under. 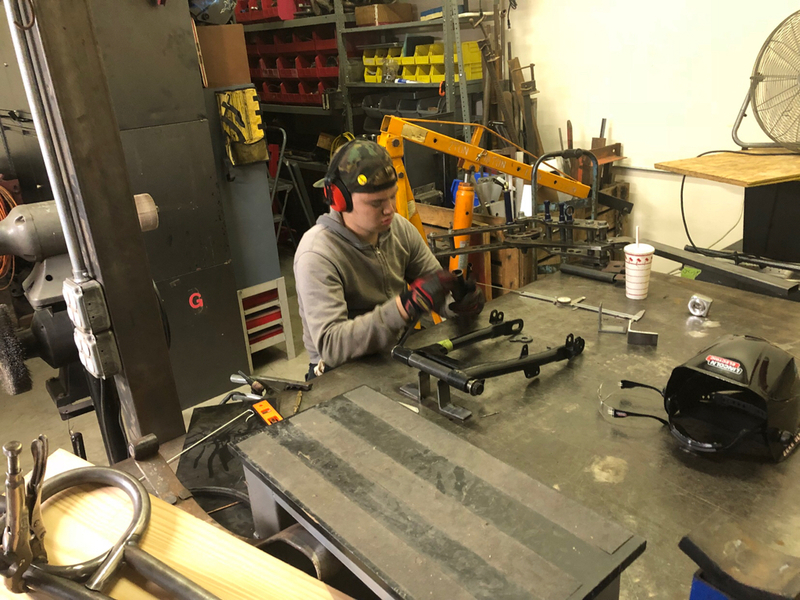 So does BB with his titanium expansion chambers that our friend is welding up. The problem with my head is the single spark plug and cooling. Zeke’s has twin plugs. Cycle world said that the reason why Bultaco went to two plugs is to help cool the head by increasing flame propagation. 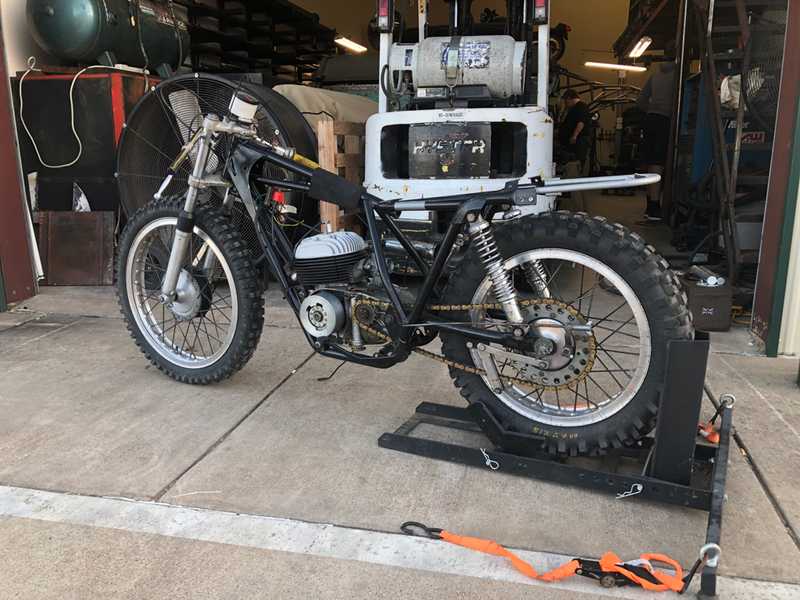 The man from down under had the same problem with heat in his Pursang build and he went to a Husky Head and that took care of the detonation problem. We pegged the Teazer tach plus 15000 Rpms yesterday (7500 Rpms )actually and the bike didn’t mind it at all. Of course it really didn’t help the HP at all. The Chinese CRF magneto will take care of the flywheel weight. I would like to get Bandido pipe for testing. I wonder if that was built using Jennings data? I have just started looking at Blair. So much to learn. I will be reacting on the third Yellow...so will Zeke. Couple of thoughts in no particular order. Reaction time: .6 vs 0.6. Hmm. Zeke won before you started rolling. All your times - 60 foot to 1/8th are better than the taco so practice the launch timing. He is much younger and his reactions should be significantly better than yours, so you need to be consistent. Ports or pipes: I have run so many sims through MOTA that show that the pipe is really really important - bigly. 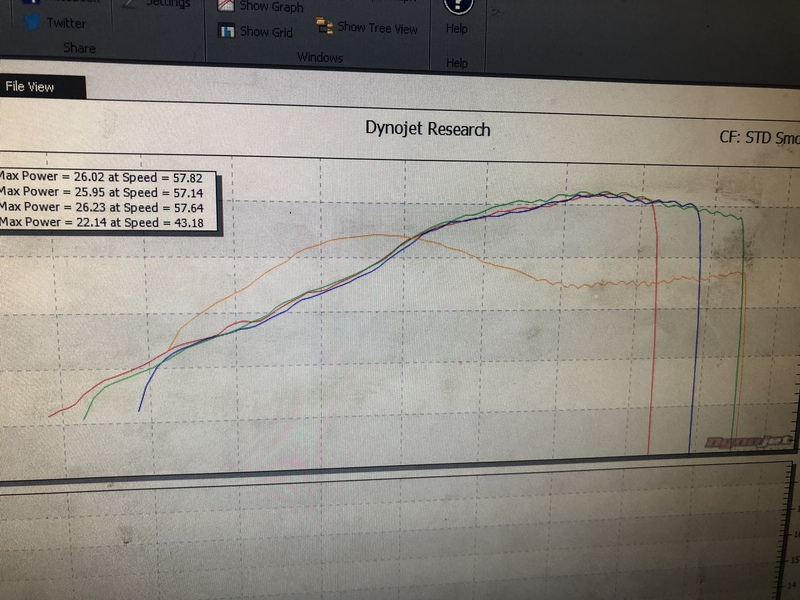 I created a modified Kart pipe for a customer some years ago and after about 100 or so runs, managed to fine tune it to get an extra HP and that was worth a second a lap. I ran a bunch of sims on a GT380 with stock ports and a good pipe versus well ported and an OK pipe and the optimized pipe and stock ports was marginally better than good porting and an OK pipe. Of course a great pipe and port combo was significantly better than either. On the Phat Trakka, I have gone from really mild porting to close to TR porting and on the same street pipes, it's stuck at the same revs and not a lot more power. Pipes are critical. Is your new pipe being designed by someone who knows what they are doing or are they replicating an existing pipe dimensions? ET and MPH: Our stock RZ350 which makes about 56 rwhp manages 1/8 times in the 8s and MPH in the low 80s. Your Taco is slightly larger capacity and with some work should be achieving something close to those numbers with a light rider. 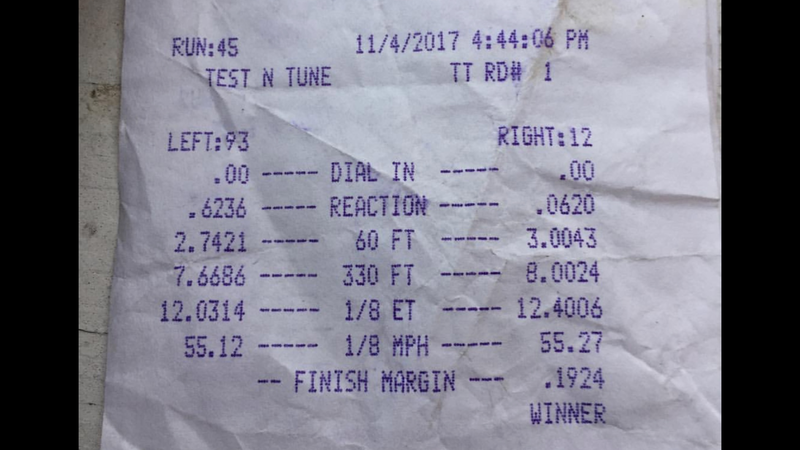 A stock heavy GT550 with 60 pound heavier rider and stock 32-35 rwhp managed low 70s at low nines. Time to get smoking. And that reminds me, if you need 2 stroke oil, go and see the good people at Moto Liberty at 635 and 35. They used to sponsor our RS250 Cup bikes.